Peach trees come in all varieties and sizes. Dwarf (8-10 feet tall), Semi-Dwarf (12-20 feet tall) and full-sized trees up to 30-plus feet tall. So even if your space is small, you can still have your peaches. Rather than planting by seed, most people simply go to a nursery and buy a young tree. Ideally, the tree will be one-year-old, which means it’ll be producing fruit a little sooner. It’s best to buy trees when they are dormant and plant them out in early spring. Active trees are less likely to survive the transplant. Peach trees love the sun, so set them up on the south side of the house. 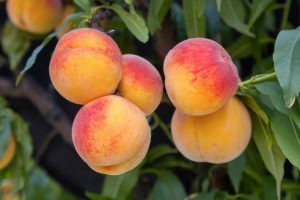 They should be pruned once a year in a vase shape, preferably in the spring, to promote better growth and fruit production as well as prevent disease. Another great thing about peach trees is that they can self-pollinate. 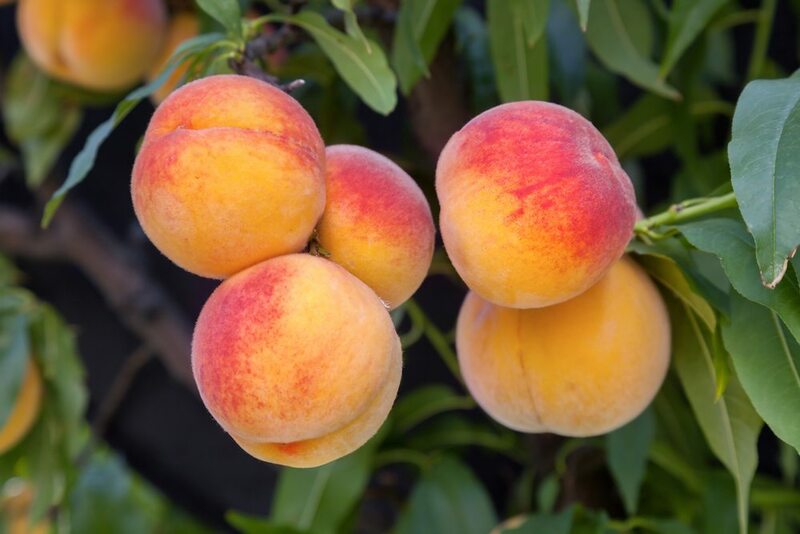 While many trees need partners to produce fruit, one peach tree in the yard is all that’s needed for fresh peaches.